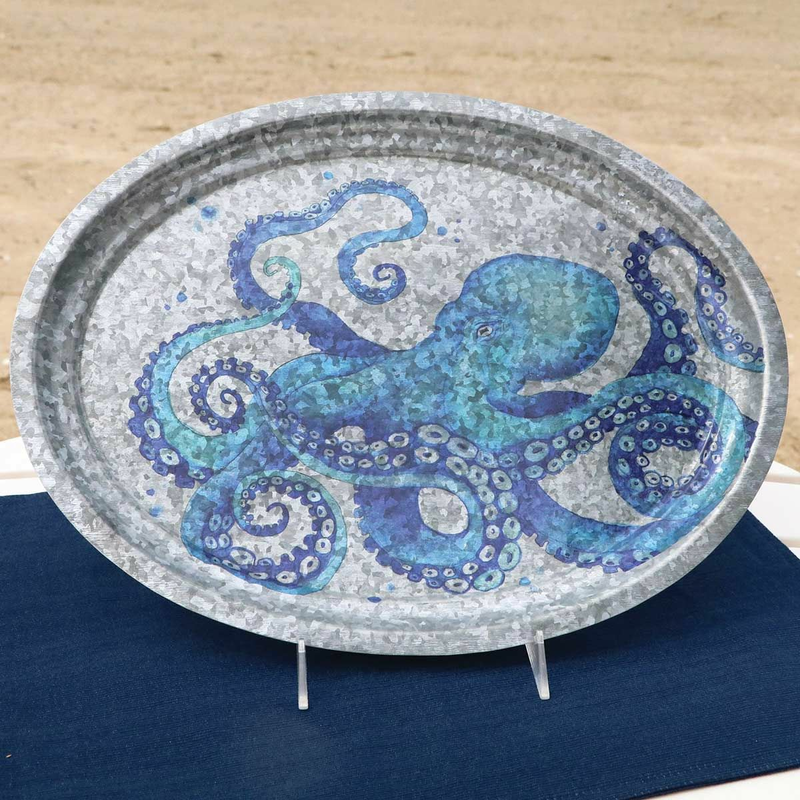 A Bella Coastal D�cor Exclusive - Galvanized metal tray with a hand-painted octopus design. Food safe. 16 1/2"W x 11 3/4"D x 3/4"H.